Indiana State University President Deborah J. Curtis announced Friday the creation of an annual address in honor of slain Washington Post journalist Jamal Khashoggi, a 1983 alumnus of the university. The Jamal Khashoggi Annual Address on Journalism and the Media will examine current and critical issues related to journalism, the first amendment and freedom of the press. Invited speakers will include prominent journalists, authors, filmmakers, photojournalists or other professionals working in the media. "I believe it is highly appropriate to pay tribute to Jamal Khashoggi's lifelong career by providing an opportunity for these important issues to be discussed," Curtis said at the meeting of the ISU Board of Trustees. 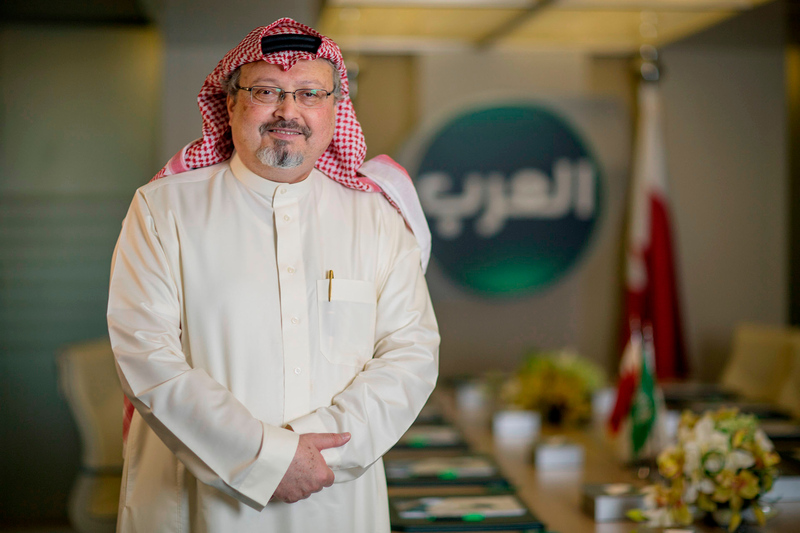 Khashoggi attended Indiana State as an undergraduate from 1977 to 1982 and conferred a business administration degree on May 7, 1983. A critic of the Saudi government, he was assassinated in early October 2018 after visiting the Saudi embassy in Turkey to obtain marriage documents. His death prompted an international outcry. Khashoggi is among the journalists honored by Time magazine as its Person of the Year in 2018. "The Guardians," as the magazine dubbed them, were dedicated to the pursuit of truth despite a war on facts and tremendous obstacles, including violence and imprisonment. Khashoggi is the only Indiana State alumnus to receive the honor and the only person to be posthumously named a Person of the Year. "A speaker series is essential to the vitality of an academic institution," said Greg Bierly, dean of the ISU Honors College. "Democracy thrives on the open exchange of ideas, and universities are the realm of test and trial for all manner of theories, explanations, proposals and solutions. Only when these environments are infused with the fresh perspectives of societal and professional leaders is knowledge advanced, debate made relevant and a student body given the tools to evaluate and improve the world." Chris Olsen, dean of the College of Arts and Sciences and historian, shared a similar sentiment. "Freedom of the press remains the most essential foundation of democracy, the only way for Americans really to interrogate and hold our elected leaders to account," Olsen said. "It's critical for democratic politics to function that we have open and vigorous debate, based in examination of evidence and evidence-based arguments, about contemporary issues." • Trustees approved naming the Bill Malloy Conference Room in the Indiana State track and field and cross-country office. The naming opportunity is the result of a $25,000 gift from Rich, '77, and Robin Porter in honor of Malloy, who coached and mentored Rich Porter as a member of the track and field team 1973-1977. Malloy competed at Indiana State in cross-country and track and field 1946-1949 and received the McMillan Award for the most outstanding athlete graduating from Indiana State in 1949. He was hired as the Indiana State head cross-country coach and assistant track and field coach in 1967. A year later, he became head track and field coach and continued in that role until 1979. Malloy coached the Sycamores to ICC titles in 1967 and 1968, and coached the ISU men to the 1976 NCAA Division I Championships. Malloy was inducted into the Indiana State Athletics Hall of Fame in 2010. • Trustees approved housing and dining rates for 2019-20. The rate for traditional residence hall room with a standard meal plan, which represents the majority of on-campus rooms, will increase by two percent. Student rooms at 500 Wabash and University Apartments will also increase by two percent. The on-campus early arrival daily rate will be adjusted from $14 to $20, the first increase in several years. The break access contract rate for students who wish to remain on campus during break periods will be increased from $600 to $800. The Residential Life technology fee will continue to be $15 per semester. • Trustees approved a two percent increase in flight fees for the mandatory certificates required by the four-year bachelor's degree program (private pilot, instrument, commercial and multi-engine) and other certifications. Trustees also approved changes to other academic program and laboratory/course-specific fees, effective fall 2019. Operational expenses for the ISU Flight Academy are primarily funded by flight fee income. Adjustments to these rates, effective with fall semester 2019, are necessary because of increases in operating costs for fuel, maintenance, salaries and related benefits. • Trustees approved changes to several policies. A modification to policy 145.3.4.3 in the Constitution of the Faculty of Indiana State University, which was requested by Faculty Senate, establishes a formal process to fill vacancies. A change to policy 146.15 in the Bylaws of the Faculty Senate adjusts when a Temporary Faculty Advocate is selected and the term length one serves. The modifications to policy 170.7 regarding the Teacher Education Committee changes three things: updates the name of the accrediting body; adds the Bayh College of Education Accreditation and Assessment member as a non-voting, ex-officio member of the committee; removes the limitation that no member can serve more than one consecutive term on the Executive Committee. • The next meeting of the ISU Board of Trustees is set for May 10. The Jamal Khashoggi Annual Address on Journalism and the Media will examine current and critical issues related to journalism, the first amendment and freedom of the press.